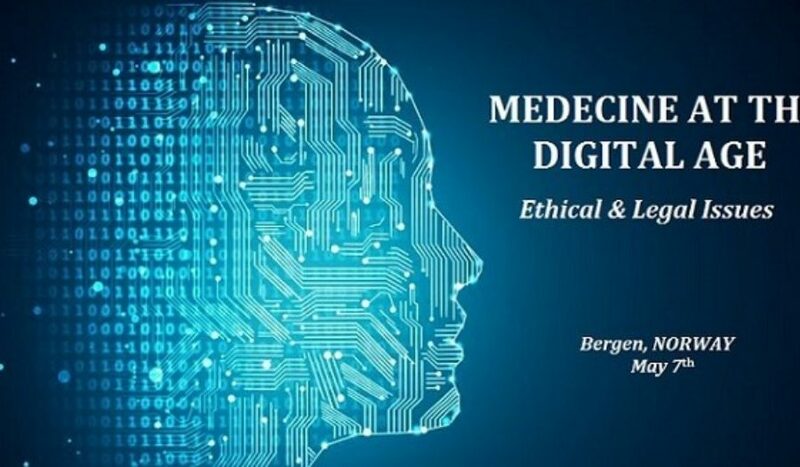 «The French Institute in Norway and BI Norwegian Business School are happy to invite you to the "Medicine at the digital age", seminar which will take place in Bergen May 7th. Digitalization and artificial intelligence applied to the health sector is one of the main strategic research priorities identified by the French government. Through the intrinsic bond between research and hospitals and its state-of-the-art private health sector, France has an ideal ecosystem to develop E-Health technologies. These innovations will improve access to healthcare and care security, but also raise ethical and legal issues. Responsibility in the medicine of the future». Det er et omfattende program som presenteres med foredragsholdere og problemstillinger knyttet til ehelse både fra inn- og utland. Fra Norge deltar flere forskere fra ulike universitet, Teknologigrådet deltar, representanter fra fra Norwegian Centre for E-Health research, Centre for Medical Ethics og mange flere.